Finalizing a divorce, including deciding child custody, can take a long time. A temporary custody order can give both you and your children stability during your case. At Sandra Bonfiglio, P.A., we represent mothers and fathers in temporary hearings involving child custody, working to protect our clients’ parental rights during and after divorce. Contact our experienced Fort Lauderdale temporary custody attorneys for more information. Soon after a Petition for Dissolution of Marriage is filed, a court will hold a temporary hearing and issue an order that controls legal aspects of the parties’ relationship until a final divorce decree is granted. If child custody is contested, the order will establish a temporary custody solution. In many cases, temporary custody is granted to the parent who stays in the marital home, unless there is evidence that doing so would not be in the best interests of the child. Once a temporary custody order is issued, it lasts while the divorce case is pending, and is often difficult to modify unless something happens to dramatically change the parents’ or child’s circumstances. Therefore, parents often benefit from creating their own parenting plan, which will generally be approved by the court so long as it is fair and in the child’s best interests. Temporary custody orders should have no bearing on how parental responsibility and time sharing are ultimately determined and established when a divorce is finalized. However, courts like consistency, and if the temporary custody arrangement works well—and the parents do not provide good reasons why it should be changed—the court may see no need to amend the order in the final judgment. With all of these factors, it is important for parents to protect their rights and interests when temporary custody is established, for it can have an impact on time sharing arrangements, and whether full custody may be considered in a case. In an emergency situation, such as when a child is being abused or living in a dangerous or unhealthy environment, the other parent, a grandparent or another interested party can ask a court for an emergency custody order. The state also has the power to intervene in cases of child abuse, and may appoint a guardian to care for a child. We represent parties seeking or defending against emergency motions for temporary custody, and also handle guardianship litigation. 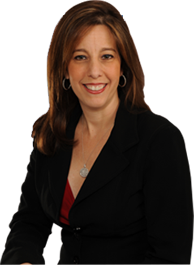 If you need help with temporary custody in Florida, please contact Fort Lauderdale temporary custody attorney Sandra Bonfiglio, P.A. for a consultation. There is no obligation and the first 15 minutes are free.